With the industry changes to email delivery authentication requirements we will be changing the Zulu eLearning system email notification "from" address to meet the needs of delivering key system emails. 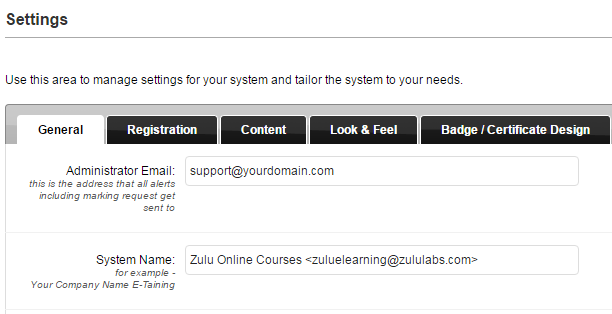 The from address will now be System Name <zuluelearning@zululabs.com>. All Administrator emails will continue to receive notifications. Key benefits: Better deliverability to Webmail and ISP email addresses and of course no issues with inbound corporate emails.